The Casper chair from Zenith is available in white, red, yellow, green, blue and coffee. 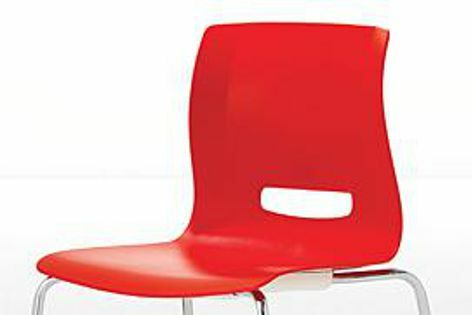 Casper is a stylish and contemporary stackable polypropylene cafe and dining chair designed for catering and hospitality environments in both corporate and leisure markets. It can also be used for meeting applications. The faceted angular upper backrest blends into the curvaceous seat, while the distinctive slot in the lower back relieves the volume of the chair, giving it a lighter look. The chair shell has a gloss finish to the back and a matt finish to the front. It is available in white, red, yellow, green, blue and coffee. Casper is available on a four-leg base, sled base or a beam, with or without arms. It can also be supplied with optional upholstered seat pads. The Casper chair was tested to British standard BSEN 13761 for commercial use and is AFRDI and FISP approved.